The Chosen One. The Future of the Blues Guitar. The Next Stevie Ray Vaughan. Savior of the Blues. At only 35-years of age, Gary Clark Jr. has carried a lot of pressure on his slim shoulders. But from the time he was a teen, blasting away his elders at Austin nightclubs, a grand destiny has hovered around him. 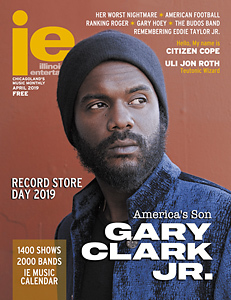 Clark has never been comfortable with the stifling expectations and the insistent labels, but with the release of his illuminating third album, This Land (Warner Brothers), the musician has proclaimed his unique vision for what his musical role will be. “I did feel that those titles were a little bit overwhelming,” said Clark quietly about his early accolades. “My first album was at 17, and it was a lot of things, not just blues. Blues will always be the foundation, but it wasn’t right to put all that pressure on one person.” Industry insiders and seasoned fans poured their longing for a young blues master who would keep the genre visible and trendy into Clark’s dazzling talent, and he’s wrestled with that yoke for over a decade. But clearly, that struggle is now over. “I’m a musician and a creator, and I like to experiment with different things. Music is music, and it doesn’t make sense to hold that stuff [from varied genres] back, it just wouldn’t be authentic,” he insisted. When Clark was 12-years-old, he picked up the guitar for the first time. The power and expression that the instrument gave the soft-spoken East Texas boy was something he never wanted to give up. He played in local clubs, and he also played in church. Clark’s mom insisted that if he was motivated enough to play for the drunken crowds that flocked to downtown clubs, he could also play for Jesus. He played wherever and whenever he could and then he met Clifford Antone, owner of the legendary Austin blues club, Antone’s. Immediately recognizing Clark’s stunning virtuosity, Antone began regularly featuring the young musician at the club, where he caught the attention of Jimmie Vaughan, Stevie Ray’s brother. Jimmie took the young prodigy under his wing and soon Clark was sharing the stage with legends like Hubert Sumlin Jr. and Pinetop Perkins. He caused such a sensation that Austin’s mayor declared May 3, 2001, “Gary Clark Jr. Day” when he was only 17-years-old. Listening to his dad’s B.B King and Johnny “Guitar” Watson records and studying icons like Buddy Guy and Sumlin on stage formed the foundation of his musical education, but Clark likes to emphasize that blues wasn’t the only music that he listened to. “On 6th street, you hear all kinds of music–jazz, hip hop, country, R&B,” he explained. “I was making beats, and I was listening to Teddy Riley, Curtis Mayfield, Tupac, and RZA.” Underscoring his eclectic tastes, Clark says it wasn’t Hound Dog Taylor’s slide guitar technique he studied for years, or Elmore James or even Jimi Hendrix who first inspired him to play guitar. For that, he points to attending Michael Jackson’s “Bad” concert tour as a kid and listening to his mother’s Jackson Five records. Yes, Gary Clark Jr’s first guitar push came from Tito Jackson. Looking at Tito’s trajectory from ‘50s doo-wop to R&B, to the blues that he’s currently playing, it’s a fitting example for the genre-bending guitarist that Clark has always been. It’s just taken a few albums for listeners to acknowledge that. Clark recorded two independent albums and earned several Austin Music Awards before he was invited to play the significant role of a magnetic young blues guitarist in John Sayles 2007 film Honeydripper. Tracing the journey of a juke joint owner played by Danny Glover, trying to keep his club going amid the obstacles of Jim Crow Alabama and featuring Keb Mo playing a ghost character who represents the spirit of the blues, the film visualizes the genre and the lifestyle that produced it. His film debut served to showcase his blues prowess while also announcing that the new guard had arrived. Just a few years later, in 2010, Gary Clark Jr.’s arrival and ascension as the heralded “Chosen One” was announced to the world with a legendary performance. And just like that, Clark found himself with a Warner Brothers record deal and rock star status. He was soon selling out major venues as a headliner, opening for Eric Clapton and fielding offers for album guest appearances. He racked up star-studded fans like Keith Richards, B.B. King and Barack Obama. Before his enigmatic, major label debut Blak and Blu (Warner Brothers) was released in 2012, he had co-written and appeared on Alicia Keyes’ hit song, “Fire We Make.” He had moved a long way from sitting in a dark room, contemplating his future. With the release of Blak and Blu, Clark would face the guitar god, and blues savior labels head on. The 13-track CD unleashed his carefully crafted blues chops as well as his love of R&B and hip hop, to fans expecting a straight-ahead blues collection. Blues flowed through the CD, but it was just one of many sounds, which perplexed listeners and set him on the defensive. He also released a mixtape of Blak and Blu featuring Mississippi MC Big Krit that further proved that he was not your daddy’s blues guitar god. It would also establish the tone for his sophomore album, The Story of Sonny Boy Slim, which dabbled even more in R&B, funk, gospel and hip hop. The fact that all of these genres are offsprings of the blues wasn’t lost on many fans, but Clark defiantly blended hip hop loops, funk falsettos and gospel harmonies with juke joint riffs for an aural demonstration of African-American musical expression. Clark made it plain that he wasn’t accepting any of the limiting definitions of what music he could play. “I just love to take [the fewest] amount of notes and make it sound interesting,” he explained. “That song is about my views on America around the time of the 2016 elections and a lot of stuff happening now; it’s kind of dark and sad,” he explained. On top of the toxic national atmosphere, Clark was confronted about how he could be the owner own his 50-acre ranch by a racist neighbor. The angry exchange happened in front of his son and stirred up memories of the racism he endured during his Austin childhood. “My life is cool; I surround myself with people who are open and love and care for me. It’s the [other] people who want to make you feel like you’re not worthy. You’re minding your own business, and they want to talk crazy to you. And it was around my kid. We have to stop this cycle of hate. I feel hopeful for the sake of the little ones,” he said. Hope for the future and reverence for the past runs all through This Land, with the title tune based on the Woody Guthrie anthem “This Land Is Your Land.” He continues his appreciation of R&B melodies and hip hop beats and even mixes in a bit of punk and reggae, tying it all up with a soothing dose of country blues. He also includes more social commentary, addressing the cycle of poverty on “Feed The Babies.” Critics have declared that it’s a new side of the multi-faceted musician, but it’s been there all along, including the social commentary, which has always been an essential feature of blues. Clark has consistently used blues as the foundation for his exploration into other genres, honoring the root while exploring the branches. 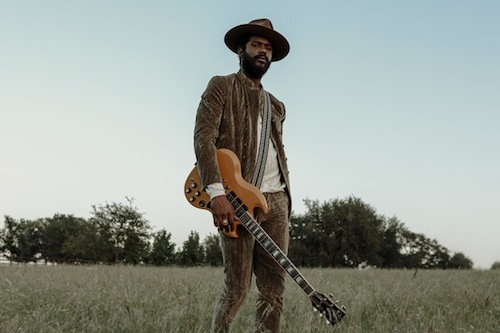 Gary Clark Jr. returns to Chicago in August for Lollapalooza 2019.